Thank goodness I ran into Mike Vallinis, my friend from Montreal who was so keen to take on this tropical building adventure. As I've explained, Caribbean construction takes a ton of research and preparation. 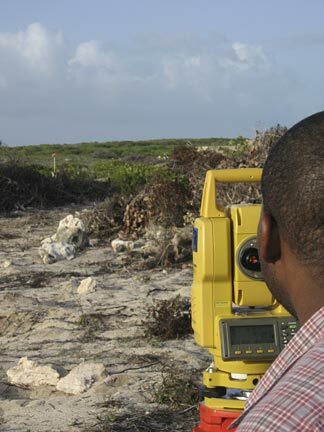 The surveyor, Baeeson Richardson (everyone calls him "Bee"), is on site. Here you see him laying out the boundaries for the excavation that will mark the official "start" of building our tropical home. "Don't build your foundation on sand." So Bee is carefully laying down the location and orientation of the soon-to-be-dug foundation hole. The home will face towards St. Barts, with views to the right to St. Martin, and out to the endless horizon of the Caribbean Sea on the left. Cheddie Richardson -- Cheddie is an old friend on-island, skilled sculptor and wise business person in their new Anguilla construction company. The new company, called TurnKey Construction, will bring advanced and green building technologies to Anguilla. Our home will be built out of ICF, a remarkably strong, fast and energy-efficient way to build a concrete tropical house. More on ICF and concrete homes later. Mike is serious about staying in Anguilla and building in the tropics. Our family loves him. 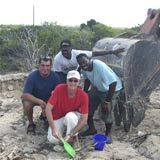 He is not only superb at what he does, he is conscientious and took care of the project and my interests in Anguilla while I still lived in Montreal (I was just too busy back home). He completed our home to perfection, down to the final detail. I'm happy to recommend Mike and TurnKey to you. He has molded a top team, all experienced Anguillians. "Keen on green," his environmental expertise grows (ours was the first ICF-built home -- here's a tour of our finished Anguilla home). 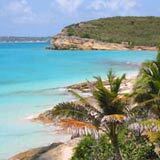 Reach him through the form below if you are serious about building your own home on this gem of a tropical island, Anguilla. Inquire about his availability. To insure the highest quality, he only builds one tropical home at a time. Next Step? Our first significant building step. 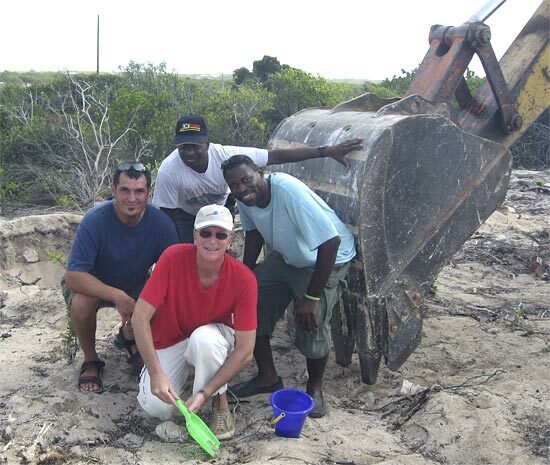 We have a big hole to dig on this tropical island!